Google has just released the top search trends in year 2015 for Malaysia. 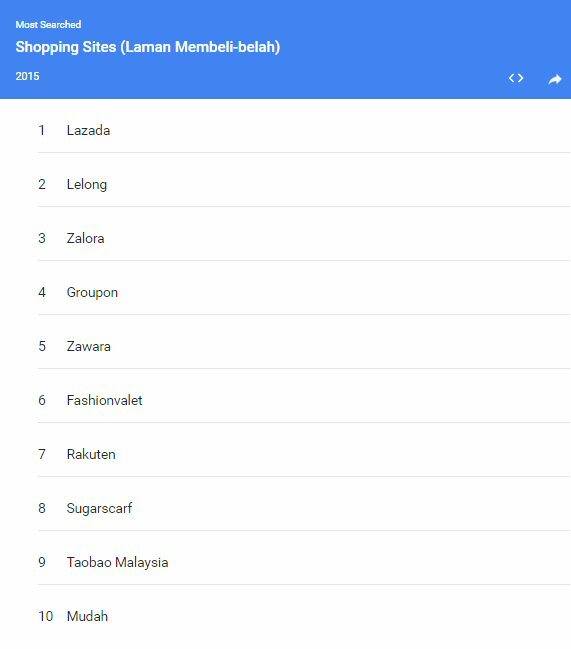 So, who are the top 10 for most searched online shopping sites in Malaysia? Google has just released the top search trends for year 2015. 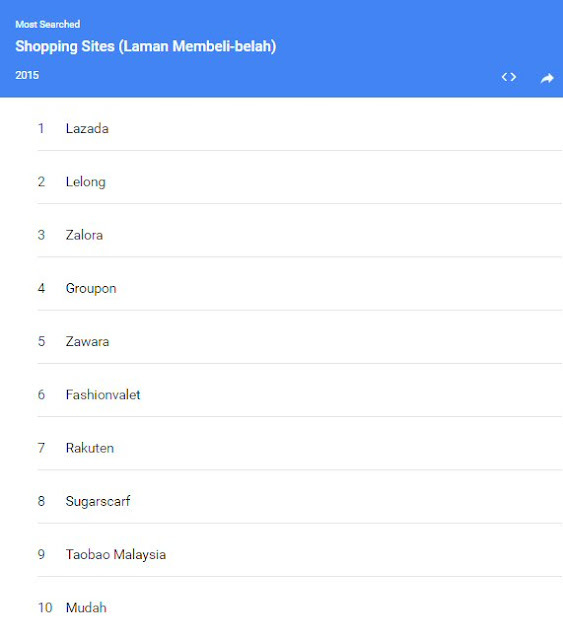 So, who are the top 10 most searched online shopping sites in Malaysia? 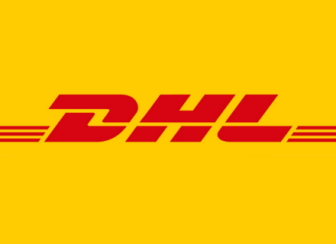 Lazada, Lelong, Zalora are the top 3, and 4 out of 10 most searched online shopping brands are fashion-focused websites.